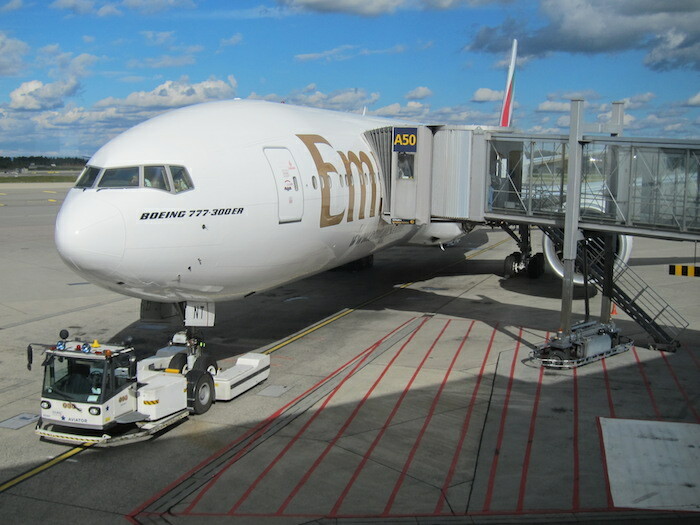 Canada has one of the most protectionist policies when it comes to the Gulf carriers, which is why as of now Emirates is limited to operating 3x weekly flights between Dubai and Toronto. They’d like to expand further into Canada (there are even rumors of them flying to Buffalo as a way of circumventing this restriction), though up until now have been blocked. 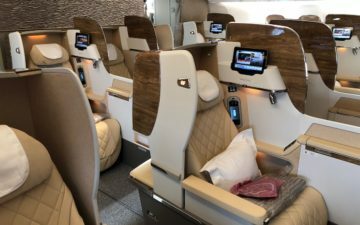 Emirates also has quite a few airlines they codeshare with, including two airlines that help them gain more access to Canada — Alaska and WestJet. This is done primarily in the form of codeshare flights out of Los Angeles and Seattle to various points in Canada. While perhaps not that significant in practice, here’s something that’s still interesting. Per @airlineroute, Emirates has increased travel options to Vancouver, and now puts their Emirates flight number on two daily Quick Shuttle services between Seattle and Vancouver. This represents Emirates’ first bus service within North America. In practice those services are padded, at up to five hours in some cases. The drive between Seattle and Vancouver takes a lot less time than that, though I guess they’re allowing a substantial pad in the schedule in case the border is backed up. In practice I can’t imagine very many people are using this, given that it’s typically pricing out more expensive and also longer than flying that last segment. Perhaps they’re going after the market that’s mostly scared of flying, or perhaps they’re doing this just as a further jab at Canada’s protectionist policies. The Quick Shuttle normally takes that long anyway because at the border everyone gets off, get their bags, clear US immigration and customs, and back on the bus again. How does mileage earning work on the bus segment? Are you sure those times are right? I took the emirates flight this summer and it leaves from SEATAC around 10:30 am. Something like 25% of all south Asians in Canada live in Surrey BC, a southern YVR suburb that’s basically on the border with the US. I figure this is the market they’re going after. I’d do it, if the price was right. I’d especially like it if they directed it to the ferry. Vancouver Island residents don’t have many options. We can look forward to more protectionist policies in the US in the near future. It seems like the US will emulate Canada when it comes to issues like this. @BC you’re probably right, but the Quick only makes one Surrey stop, and it’s nowhere near Newton or Walley or Guildford. In fact it’s barely outside White Rock close to the border. @Heather I believe the EK/AS codeshare includes YYJ (too lazy to go check) so if it does simply ticket from there. The Quick goes nowhere near the ferry unless you take that all the way to Waterfront, cross over to Lonsdale on the Seabus, then public-transit over to Horseshoe Bay. Fun times I know! @ lucky the border to go to Seattle is the busiest in North America. I spent 3 hours there the only time I passed through. You can actually see online the estimated waiting time at the border.